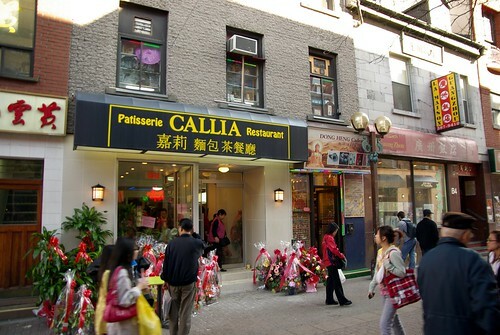 Pâtisserie-restaurant Callia (嘉莉／麵包茶餐聽) just opened over the weekend in Montreal’s Chinatown and I went to check it out. I was initially surprised at how fast it appeared – I didn’t even notice that the former tenant, a Chinese restaurant presumably branded as upscale, had closed shop. 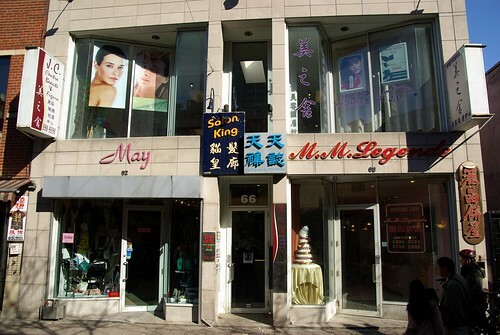 The owners, I think, are from Hong Kong, based on the use of traditional Chinese characters. 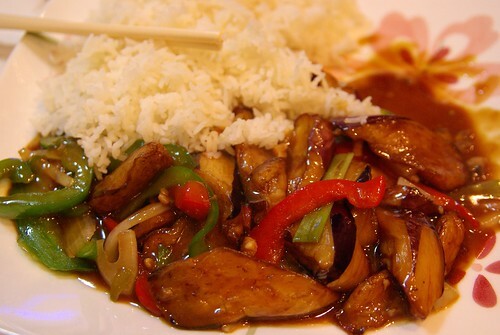 It is a Hong Kong-style bakery-restaurant and its restaurant part is better known as cha chaan teng (literally tea salon – but better known for that sub-genre of European-Chinese fusion cuisine evolved from the colonial era in Hong Kong. Callia’s formula is the same as long-time incumbent MM Legende (Lai Tsing), which has been around for at least a good decade. The same stretch of De la Gauchetière between Clark and St-Urbain now has four different shops selling drinks and pastries. Is it going to be one too many? 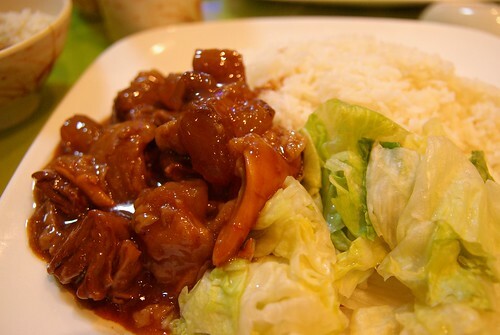 Another cha chaan teng called Pêches used to exist across from MM Legende (downstairs from Bubble Tea L2 – where “My Cup Of Tea” used to be) but won the war of the cha chaan teng. Montreal Chinatown hardly sounds like a battlefield for this kind of business, but with Harmonie at the corner of St-Urbain, it seems this time unlikely that MM Legende could be able to compete solely based on looks – it is my grandparents’ one and only hangout place when they are in Chinatown. 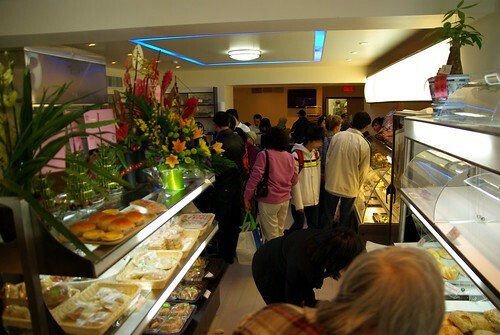 However, we have yet to actually try things out at Callia. It was incredibly packed today as the staff (interestingly wearing suit uniforms) was selling stuff at a big discount for the grand opening. The dining room was a big mess. We’ll give their Hong Kong milk tea and whatever macaroni-in-its-broth a try before giving any non-aesthetic appreciation of the place! Edit (2009-05-03): Apparently, this place was opened by the people of Keung Kee, a few doors down. I actually ate at Callia tonight and it was pretty good. My dad got a brisket noodles, while my mom had a Yu Hsiang Eggplant (with bits of delicious dried fish). I had a Brisket Rice with a cream soup with corn (not corn cream) and of course a standardly good Hong Kong milk tea. I just happened to be there on opening day. Guess I missed you. It was great, in true Chinese fashion standing outside the store were around 30 elderly Chinese folk (I’m guessing from the home down the street) just standing there staring into it.